The peaceful and enchanting sound of the Hang is particularly suited for activities related to wellbeing. In such a fast paced world, where responsibilities accumulate, it is important to take a step back and reserve some time for oneself. 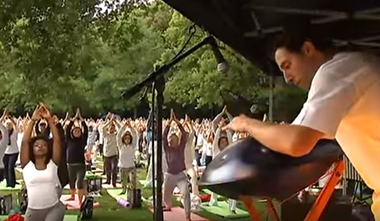 I can give a live performance for meditation or yoga classes, or for other related activities – contact me, and it is together that we’ll do some good !